Alan Ehrenhalt makes a fascinating aside in The Great Inversion and the Future of the American City. In discussing the residential revival of New York’s financial district, he asks, “This is neighborhood, then, but is it a community the way Sheffield [in Chicago] is, the way communities existed in the great European cities of a century ago?” His answer is thoughtful but inconclusive. For now, to expand the question, what might be meant by asking whether a place is a “real community”? Most people interested in cities agree that the planned suburban neighborhood is an “artificial” community. 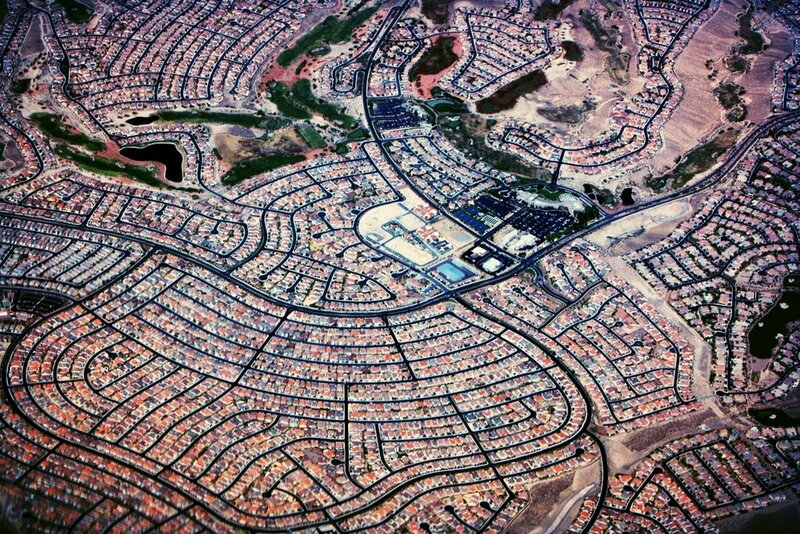 Hostility to (or at least benign contempt for) the sprawl of the American exurb is de rigueur among planners. But the suburb was once the the next best thing in human living patterns, an attempt at a democratic response to the need for an authentic community. In the 19th century evoked by Ehrenhalt, the truly wealthy had both a city residence and a country retreat (the Hapsburgs had the Hofburg and the Schönbrunn Palace; the Bourbons had the Tuileries Palace and Versailles). The royalty and the wealthy in turn followed suit in choosing where to locate their own residences. The less fortunate had to choose, either to live in the city (near economic opportunity but also amidst noise, dirt, and and squalor far worse than we see in most cities today) or in the country (in natural beauty and space, but far from any chance for meaningful upward mobility). The suburb sought to give people of modest means the advantages of both. The construction of the Metropolitan Railway in London, and the subsequent influence of Sir Ebenezer Howard’s “garden city movement,” began the explosion of suburban sprawl. The important point is that the suburb was once the evident solution to a real human problem. Likewise, the shopping mall now seems sterile and artificial, but it arose for similar reasons. Victor Gruen, an Austrian-born architect, designed the first enclosed shopping mall in the United States (Southdale Mall in Edina, Minnesota) as an intentional reaction against car-centric development patterns. The idea itself is actually quite brilliant – an enclosed place, protected from the elements, human in scale, and oriented to the pedestrian. It’s the same idea, incidentally, underlying Trajan’s Market from around 100 A.D. In short, the form has been around for two millennia, but is now a modern exemplar of the artificial. Modern development responses include mixed-use shopping centers in the suburbs, with outdoor public spaces and both office and residential uses to create the continuously present population that Jacobs insisted was a condition of the “real” community. But are not these mixed-use developments every bit as artificial as the shopping mall? More challenging still are planned downtown revival efforts and organic gentrification. In the first instance, planned downtown revivals often lead to spaces that are indistinguishable from the outdoor mall save for their geographic location. They can seem every bit as artificial as any other place; consider, for example, Baltimore’s inner harbor redevelopment with its parade of characterless, tourist-centered uses. In the second instance, organic gentrification presents its own problems of socio-economic homogenization and narrowing of uses, the very point Ehrenhalt raises in discussing southern Manhattan. Whither, then? What might be said to make a “real” community? Necessary (but not sufficient) components seems to include mixed use, continuous human presence, walkability, and density. But the outdoor mall or the tourist-oriented downtown may have those components without thereby becoming “real.” I’ll discuss further in future posts, but I suspect that another necessary component is locally owned businesses. Suburban sprawl, the enclosed mall, the outdoor mall, the revived downtown, and even the gentrified neighborhood tend to feature the same businesses, whether it be a Dollar General or a Tiffany & Co. Not only do these businesses make every place feel the same, they also deprive the community of a vital profession of the real community – the independent retail entrepreneur. More to come. Previous postDo Vacant Property Registries Work?